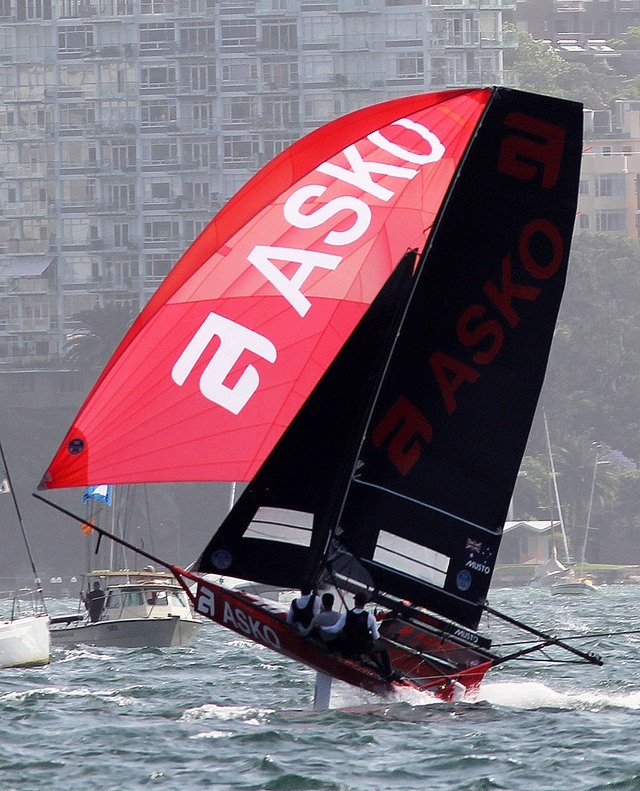 The Australian 18 Footers League fleet is back on Sydney Harbour this Sunday when the 18-boat fleet will contest the final two races of the 2018-2019 NSW 18ft Skiff Championship. After three races so far in the championship, going into Sunday's final two races, Smeg (Michael Coxon) leads the points table on 10 points, followed by Asko Appliances (James Dorron) on 14, Finport Finance (Keagan York) on 18, Winning Group (John Winning Jr.) 20, Rag & Famish Hotel (Bryce Edwards) 23 and Yandoo (John Winning) on 24 points. With the points from Sunday's races to be added, and each boat's worst performance, over the five races, to be discarded, the championship is still wide open for many teams. Smeg still holds the the lead on net points so far, but only two points separates the leading four boats, and 8 points separates the top nine teams. On present form, Smeg appears the team to beat in the NSW Championship and, if the boat can retain her points advantage it will be a great return to the 18s by her skipper, Michael Coxon. 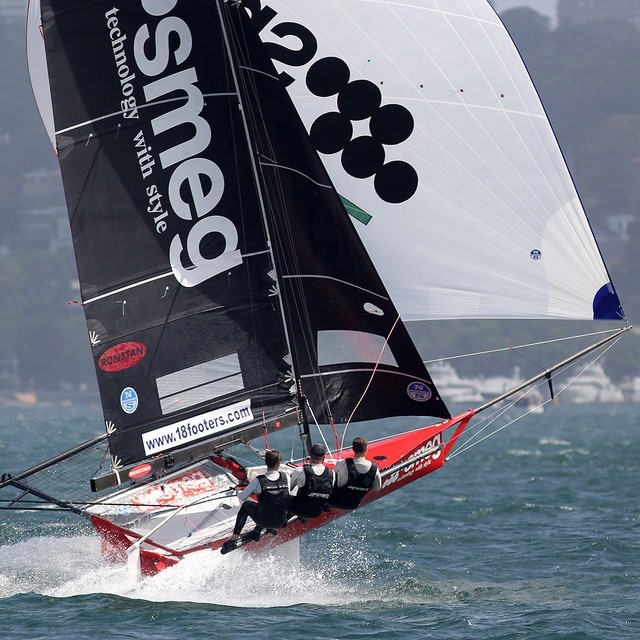 Michael Coxon took a year off from sailing the 18ft Skiffs after he won his third JJ Giltinan Championship in 2017, but his return this season with the Smeg-sponsored team shows he is as sharp as ever and on-track to go for a fourth JJ victory in March. 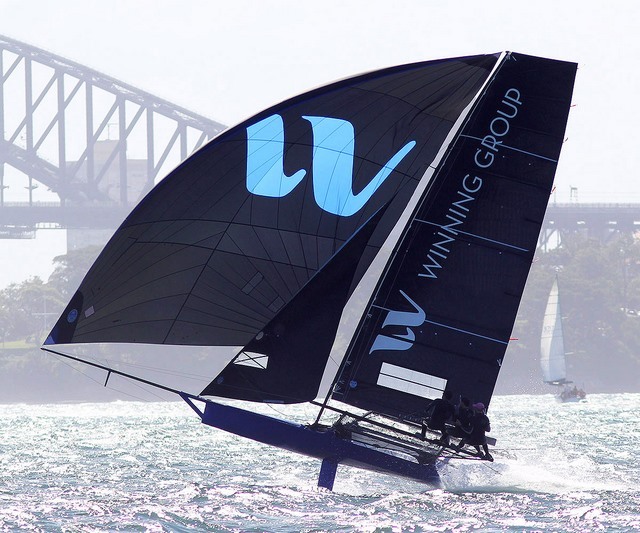 Michael joined 2016 JJ Giltinan champions Mike McKinsey and Ricky Bridge, on Smeg, and the team clicked immediately. With such a battle for the championship honours, Sunday's two three-lap windward-return courses are sure to provide spectators with some close, action-packed racing. 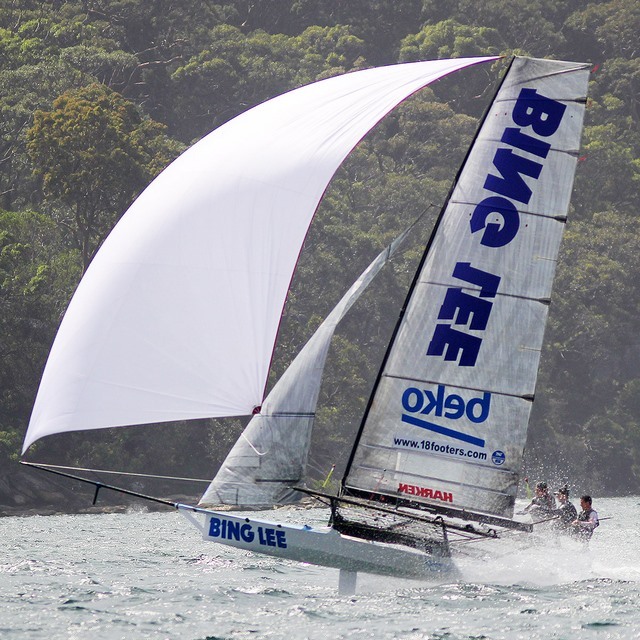 Each placing in Sunday's races will be critical to the overall point score for Smeg, Asko Appliances, Bing Lee (Micah Lane), Yandoo, Winning Group and Finport Finance. 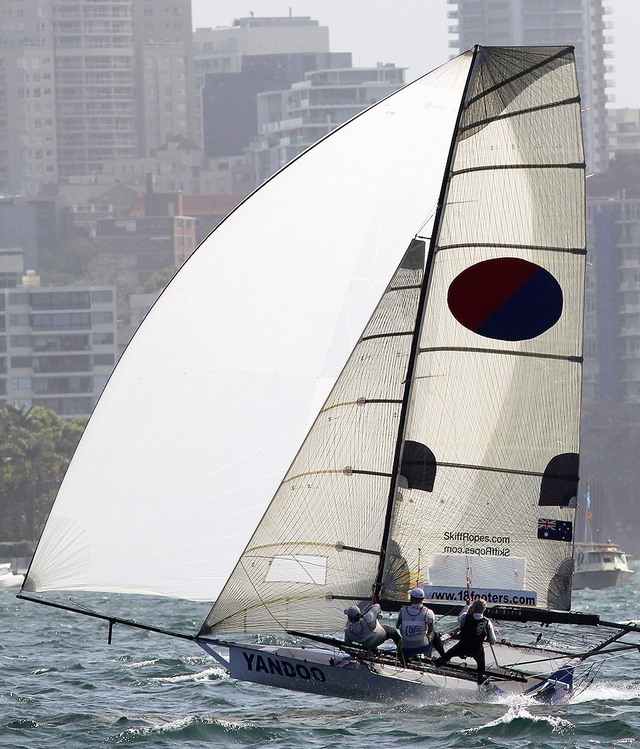 The Australian 18 Footers league's spectator ferry will follow all the racing action, leaving Double Bay Public Wharf at 2pm.